With all this talk of Halo multiplayer, what we do & don’t like and the such, the Halo story universe has taken a bit of a backburner. The story universe is what inspires a lot of Halo fans and makes the series worth playing, it certainly is for me, so where does it need to go to continue that? We all love Master Chief, that’s a given. We’ve spent more time in his green hulk of armour than any other character in the Halo series, but from time-to-time it’s nice to take a step back and look at all the other complex and interesting characters the fiction offers. There’s been 3 main side-games (excluding Spartan Assault/Strike), and each of them has been praised time and time again for their own reasons. Next to come, in the same year, was Halo 3: ODST. Heralded by many as the greatest addition to the series yet, ODST not only again took players out of the Chief’s direct storyline, but put us in a completely different set of armour too. ODST changes the pace of the game entirely with the open exploration of New Mombasa by night, whilst remaining true to the Halo feel with missions like Uplift Reserve. The story itself explores the lives and experiences of a particularly important group of ODSTs led by Gunnery Sergeant Buck and ONI operative Veronica Dare. ODST is Halo’s champion in terms of creating atmosphere, showcasing some of Marty O’Donnell’s greatest work to date, and manages to reflect the darker side of Halo in every way. With the importance and general security we feel in the Chief’s shoes, there’s never really a feeling of abandonment or devastation in a Halo game before ODST came along. This unfortunate Rookie gets dropped in the middle of a Covenant-occupied city with no sign of backup and no escape plan. Whilst giving Halo players the chance to experience this darker side of Halo, it also allows us to explore the aftermath of and events surrounding the Chief’s games from a different perspective, set around the time of Halo 2. We also get to experience the role of ODSTs, which we had only seen as a slightly-stronger version of marines in the main games; as we learn through this game, ODSTs are much more than that. Finally, we come to Halo: Reach. Game mechanics and overall reception of the changes to the Halo makeup aside, this has to be one of my favourite entries in the Halo story of all-time. The fall of Reach is one of the most pivotal events in Halo history, explored in its own book and even referred to by Buck in ODST. 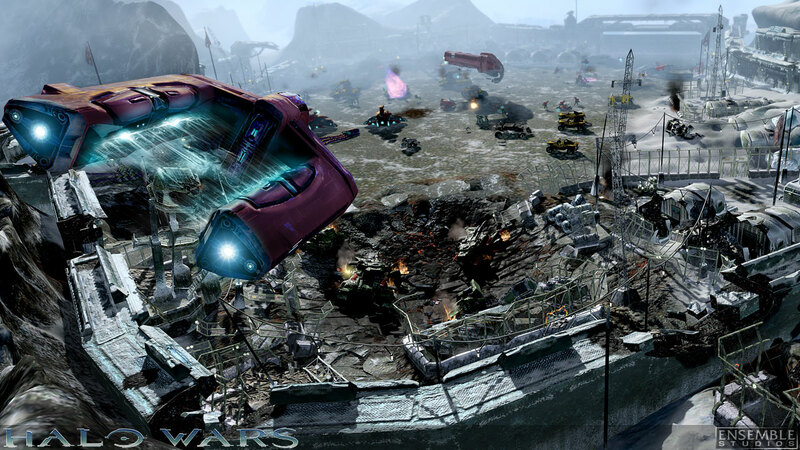 It is also of course the event that propelled the Pillar of Autumn in the direction of Halo Installation 04. Reach leans toward ODST in terms of having a darker tone, wonderfully conveying the reality of a losing battle and the devastating impact of losing close comrades. Reach does true justice to the large reputation of the conflicts we keep hearing about, and that is all Halo’s story needs to do. What next, you may ask? Whilst it is important to follow the Chief’s story through completely, there are literally hundreds of events, characters and locations we have yet to see in a Halo game. Spartan teams that are only briefly mentioned, a solely space-conflict themed game (think along the lines of the Sabre battle in Reach), an Insurrection-set game that puts you in the shoes of a marine, or even a game set in the Human-Forerunner-Flood wars… Halo benefits from having such a rich and diverse story universe and it is a shame to see so little of it explored in detail. 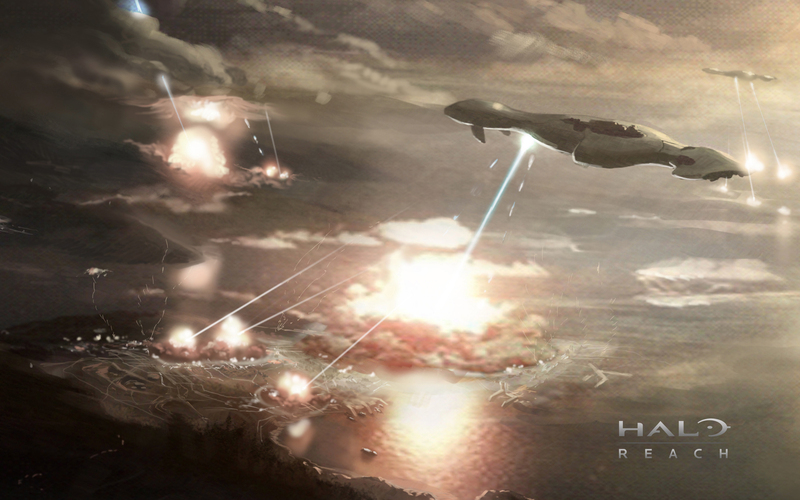 With the increase in Halo books and a seemingly deeper story detailing focus in games as of late, we can only hope to see some of these parts of Halo’s story become a reality. What would you like to see explored in a Halo game?